Nov. 23, 2016, 12:34 a.m.
What this means is that you could use this feature to connect Microsoft services like AX/CRM Online but not for other SaaS like Google Analytics, facebook, 3rd party OData endpoints requiring different authorization server. In that case, you could still use Azure Data Factory but will need to create a custom activity(basically your own component requiring coding exercise which takes a lot more efforts) and run it in HDinsight or Azure Batch. June 2, 2016, 12:33 a.m.
Just a quick report for whoever considering HDInsight but wants to make sure whether it support .Net 4.5.2 or not. 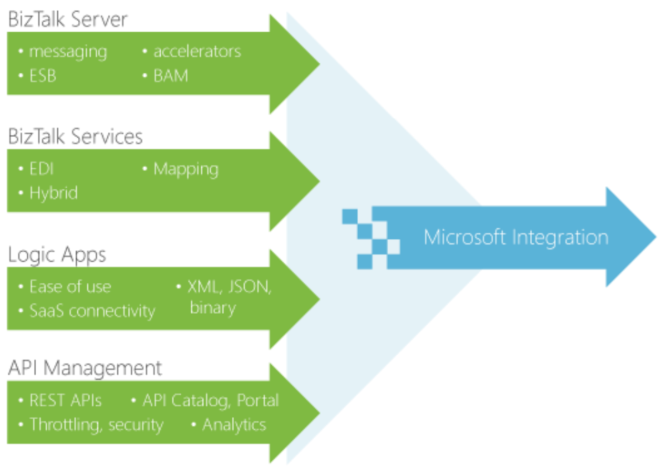 Feb. 11, 2016, 12:32 a.m.
Microsoft released a document detailing their roadmap to integration on 24th December 2015. This was a pleasant Christmas gift for many integration experts using Microsoft technologies because it clarified Microsoft’s integration strategy which was somewhat vague before.